1. There are reports of a large London firm requiring all their duty solicitors to become limited companies in order to work. Not sure whether the LAA have agreed this structure but it appears to us to be an effort to shift liability for tax and NI onto the duty solicitors. Not entirely sure what HMRC will make of it either! 2. No indication from any firm as to salary levels for duty solicitors or supervisors. Some have agreed that the range should be £30-40k with supervisors being at the £35-40k level. 3. If these contracts go in the same direction as family contracts did in 2011 it is likely the smaller firms will work out a way to take supervisors on zero hours contracts to do the bare minimum required. The LAA have actually managed to define how many hours and firms a supervisor can work for this time round..
4. No indication either on monthly retainer arrangements - these presumably are still valid because the LAA cannot regulate the relationship between the duty solicitor and the firm but have specified the minimum hours required. Neither has there been any indication on hourly rates etc..
5. The last round of rota slots saw rates of about £800-1200 per month for most retainer arrangements. We believe that when the family contracts came out in 2011 quite a few law firms simply walked away from LAA funded work and the smaller practices picked up the work. We are not sure most continued with it after realising it was going to be extremely difficult to generate an income.. Crime is of course slightly different as still LAA funded unlike most areas of family law.. Looking for work in December - a good idea? 1. Work levels in law firms tend to drop off as we approach Christmas. As a result, although you may send in a great CV full of promise and opportunity, the partners will be looking at their staff disappearing off shopping when they can and not showing high productivity levels and wondering whether they can afford you. 2. Interview arranging tends to be a total nightmare. One partner will be away (shopping), another will be off to their daughter's nativity play and getting them together to interview you at a time convenient will be virtually impossible. 3. Candidates start to think that their current firm are really nice and question their sanity for thinking about leaving. This happens fairly often just before Christmas, especially around the time when the senior partner starts to look human again when she announces the Christmas party! 4. CVs get overlooked as HR and partners are off Christmas shopping (or at least surfing Amazon). 5. Responses from firms and candidates can be sporadic to say the least. Communication can be difficult. 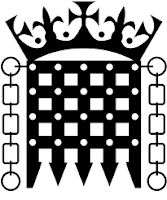 Jonathan Fagan, Managing Director of Ten-Percent Legal Recruitment and Trustee of the Ten-Percent Foundation, has launched a petition on the Houses of Parliament website. "If we get 10,000 signatures the government will respond and if we get 100,000 signatures then Parliament will debate the issue." Remove status from charities paying staff more than 3 times the average wage. Charities in the UK should have their charitable status removed if they pay any of their staff more than three times the average wage. Why should a pensioner on less than £150 a week give £5 to a charity that pays a CEO £200k? In 2016-2017 three times the average wage is £82,500. Many [charity staff] get more. By way of examples - Parkinson's UK has 10 staff earning between £60,000 and £130,000, The Royal British Legion has 26 staff earning between £60,000 and £160,000, Help for Heroes has 17 staff earning between £60,000 and £110,000 and Cancer Research UK has 219 staff earning between £60,000 and £250,000. Legal Recruitment News November 10th 2016 - Video Version. Jonathan Fagan, Managing Director of Ten Percent Legal Recruitment goes through the news with additional comment and analysis. 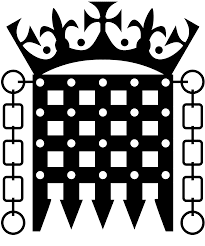 Education Law - a new growth area in the UK? Education Law - a new growth area? A quick note simply to say that if you specialise in education law and would like details of new locum and permanent roles coming our way please let us know by emailing us - cv@ten-percent.co.uk. In the last 2 weeks we have seen a number of firms register education law vacancies with us. There seems to be a growth spurt particularly around Special Educational Needs matters. Vacancies have included requirements for advocates in particular - the firms seem to be looking for solicitors to represent clients at LA & school meetings and tribunal hearings and also providing advice on statutory assessments & reviews. Similarly we have had reports of a requirement for judicial review experience. Not sure why these vacancies are suddenly coming through. In fact I would say we have had more requests in the last 2-3 weeks than in the previous 10 years! Does anyone know something we don't? The effect of Brexit on legal recruitment - have there been any changes in 2016? Listen and watch Jonathan Fagan, MD of Ten Percent Legal Recruitment as he wanders around a field in North Wales discussing the effects. On September 23rd 2016 Google announced a major update to the way they list their natural rankings. Some years ago Google basically upended the entire Search Engine Marketing industry by bringing in new elements to their algorithm which were called Panda and Penguin (the names sound quite cuddly but the results were positively terrifying for some businesses!). The new update is called Penguin 4.0. This part of the algorithm has now gone real time, which means that it is continually refreshed. Penguin now devalues anything that looks to be "the thing that rhymes with ham" and adjusts the page ranking rather than affecting the ranking of the whole site.” This means that if a solicitors firm 'stuffs' a page on their website with loads of keywords to try and encourage Google to rank them higher in the organic listings then Google will not necessarily devalue the rest of the site. So anyone planning on filling a page with the words "conveyancing", "solicitors" and "Brighton" in the hope of increasing their business, may not be risking the status of their website overall. SEO or SEM (search engine marketing) has again become important since Google changed the way adverts were shown. Not a lot of people know this, but Google now only show 2-3 adverts at the top of the search results, and none are now visible down the sides. This has reduced the opportunities for smaller companies to compete with big business when paying for advertising on Google. As a quick example, if I now want to advertise for "Conveyancing Locum" across the UK I am looking at paying over £4 a click. Something I would rather not do! You have received a reply to your ad: "Law Firm Receptionist" posted in Reception & Switchboard Jobs in [a greater London area]. To offer £16,000 p/a you must be either very greedy or not performing well as a company. I believe that London's living wage is £9.40 p/h. In fact- cleaners earn more in these days. If I accepted your salary - I would have to choose between either paying my London rent -or buying food. And because I would not be afford to use a public transport to get to work ,- to your office I would fly on a magic carpet. By the way- Would you survive on 16k in London?" Hello Anna – many thanks for your application, which we agree with completely!! I have written the following response and posted your application and my response onto the Legal Recruitment Blog (your email address has been removed). We know of a number of solicitors firms in and around London who seem to think that people go to work simply to help the partners keep ailing businesses afloat or maintain a luxury lifestyle they probably can’t afford. It doesn’t matter how many times we break the news to some clients that Queen Victoria died in 1901 they still act as if she is on the throne. I suppose there is an option to save money by sleeping rough on the streets during the week and then walk home at the weekend, but I guess you don’t fancy pushing things to that extreme. The Living Wage is £9.40 per hour. If you assume someone on a salary works full time for 7.5 hours per day, 5 days per week, for 48 weeks of the year, this equates to £16,920. Season tickets for travelling in zones 1-6 appear to cost £227 a month. So yes you are absolutely right – this firm are potentially advertising a role at less than the Living Wage and it would be very hard to work and be able to enjoy any of the income you earned. We had another firm recently doing the same type of thing - offering £14k - but dangling training contract carrots in front of potential paralegals. In defence of some of the employers – the hourly rate for legally aided work has not gone up a lot since 1991 and in fact for crime has been reduced by 17.5% as crime solicitors are quite clearly earning too much at £53.84 for complex advocacy in the Magistrates Court. Their hourly rates now equate to a lot less than most garages charge per hour for a qualified mechanic to look at a car. Other areas of law though not dependent on legal aid have no similar excuse – and if a business is undertaking an uneconomical area of work they ought to be seriously considering their own commercial acumen, not trying to get staff to work for next to nothing. Sometimes we advertise vacancies that offer unbelievably poor salaries to potential candidates but we are bound to do so by the terms of our contracts with our clients. We can express individual opinions on salary levels, but at the end of the day it is up to jobseekers to vote with their feet and avoid vacancies. We are considering as an agency refusing to advertise anything that is less than the National Living Wage, or indicating that the National Living Wage is not being met on particular vacancies. Your email has provoked us into further thought on this issue so many thanks. Solicitors firms fall into 3 categories. The first is the city and commercial sector – these firms pay very high salaries in comparison with their counterparts but why not – they earn it and their staff work amazingly long hours. The second is the decent high street sector- firms generating solid profits based on firm foundations with salaries to ensure longevity and loyalty. The third is the not so decent high street sector where staff are a very temporary commodity with no effort made at all to recruit at a level someone can actually afford to work at. So thanks for taking the time to apply – we like your wit and hope you go far! * Commercial Property Solicitors – 1-40 years PQE - £35-45 per hour. * Corporate Commercial Locum Solicitors - 5-45 years PQE. £35-75 per hour. Usual rate in small-medium law firms is around £40-50 per hour. * In House Locum Solicitors - 3-35 years PQE. £35-60 per hour. Usual rate in a larger sized blue chip company legal department is c.£50 per hour going up to c£100-£120. We have over 11,000 lawyers registered with us. To request CVs for a specific vacancy please register your vacancy using the link at the top of this email or simply reply. Training Contract Offer in a Small High Street Law Firm - should I take it? 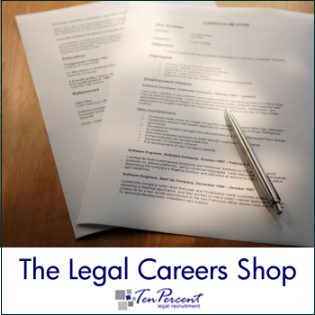 New Candidate update out for the 5th August 2016 from the Ten-Percent Legal Recruitment Group. No change in the frequency of candidates registering, much to the anticipated disappointment of some senior partners who call expecting us to have 100s of redundant conveyancing solicitors! In a nutshell we anticipate issues with the property sector, short term uncertainty affecting recruitment in the legal profession, and hopefully a resurgence in the mid-to long-term. Our new candidate update has just gone live on the Ten-Percent website. It contains a list of all the candidates registered with us in the last 7-10 days. Its that time of year again when football has an effect on just about everything going on in the workplace and the economy. Forget the ins and outs of the EU referendum campaign - we have noticed the effect of the football phenomenon every year the World Cup or the Euros have been played. Business seems to just stop. Suddenly the national team takes pride of place. Some employers are very good at identifying the desire of their employees to watch the match, or at least pay it some attention rather than their work. Other employers are pretty hopeless. 2. Give staff the opportunity to leave early if needs be on matchdays. For Irish fans this will be Monday 13th June (kick off at 5pm v Sweden), Thursday 16th June (Northern Ireland kick off at 5pm v Ukraine) and Tuesday 21st June (Ireland v Germany). 3. Offer staff the option to make up the hours by coming in an hour early on these days. 4. If you have to stay open give staff the option of listening to the game on the radio or via the iPlayer whilst they work. 5. The later stages of the tournament have no matches in the day apart from Monday 27th June (5pm kickoff). This means that no hours should be lost, and also means that the only day you really need to think about is Thursday June 16th..
Includes Solicitors, Legal Executives, Legal Secretaries, Office Managers, Paralegals and Legal Cashiers.